The latest Pokemon TCG expansion, Ancient Origins, is set to release in a few weeks. The set looks super interesting with a lot of unique effects, both in terms of the Pokemon in the set as well as the Trainers. Some notable features of the set are a major boost to Grass Pokemon as highlighted in our Shiftry article, pseudo-reprints of the weather trio with new Ancient Traits, two new Special Energy for Lightning and Dark, and the introduction of Theta Ancient Traits. As was the case with our Roaring Skies set review, it will be divided into two parts. Part 1, this article you’re reading right now, will cover the Trainer and Special Energy cards from the set. Part 2, which you will read later at a yet to be determined date, will cover the Pokemon from the set. This set’s review will diverge from past reviews in that much more emphasis on how the cards in the set interact with the Expanded card pool will be incorporated into the review. This only makes sense to do, as Expanded will play a much more prominent role in our tournament structure this season. As is the case with every review I do of Trainers, I will state my personal philosophy that you should pick up at least one play set of every single Trainer and Special Energy card in a set. They are generally cheap upon release and you never know when new cards that combo with them will be released in the future. Look no further than the 2nd place Wailord EX deck from the US National Championship which featured seldom played Trainer cards such as Hugh and Trick Shovel to great success. In total there are four cards that are already legal in the Standard format that will be reprinted in Ancient Origins. 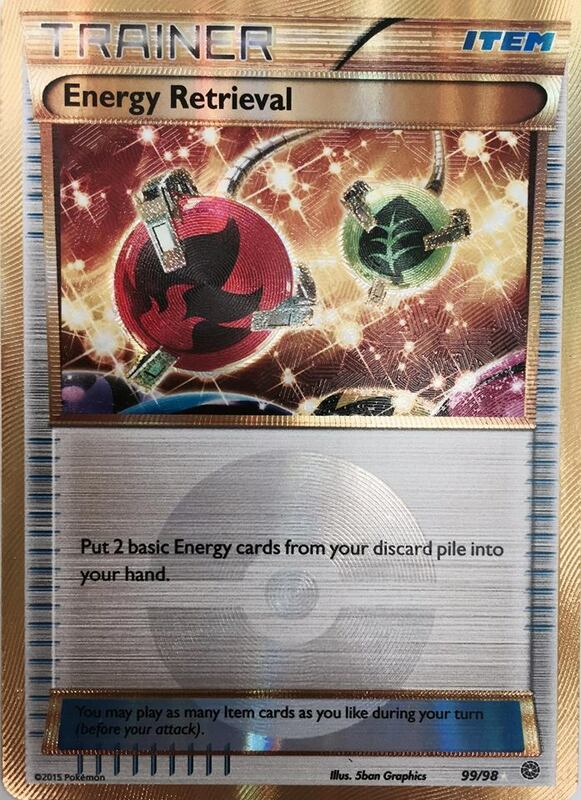 For lovers of shiny things, Trainer’s Mail and Energy Retrieval will be receiving Secret Rare shiny reprints. For lovers of fine art, Steven will be receiving the Full Art treatment. These cards all received their latest prints in either Primal Clash or Roaring Skies, and with Primal Clash being the most likely set for the next Standard rotation, none of these reprints should impact these cards’ lifespans in Standard. However, Lysandre, which was first printed in Flash Fire, received a reprint in this set and should gain an extra year in Standard rotation as a result. There are two new Supporter cards in Ancient Origins, neither of which is very straight forward in it’s use. I would expect both of these cards to see play in many different decks, but I don’t think they will be played in very high counts in most decks, with most decks playing them as 1-of’s to be retrieved with VS Seeker. You can only play this card if you have more Prize cards left than your opponent. Both players shuffle their hands into their deck. Then you draw 6 cards and your opponent draws 3 cards. Ace Trainer has been touted by many players to be the N replacement for the XY-on format, but it’s actually very dissimilar from N in how it is played. 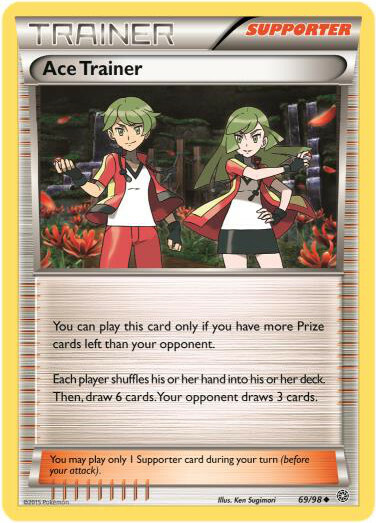 The big difference between the two cards is that Ace Trainer is a conditional Supporter card that can only be played under specific circumstances while N was an unconditional Supporter card. By being an unconditional Supporter card, N was able to be played at all stages of the game, allowing it to function as both a shuffle and draw card early in the game and a disruption card in the later stages of the game. If you had N in hand, you could play it no matter how far along you were in the game. Ace Trainer, on the other hand, can only be played when you are behind on prizes, so it’s range of use is more limited than N. You could start N in your opening hand and have your draw supporter for turn, but if you start Ace Trainer in your opening hand, then you have a dead card. With that said, Ace Trainer will still be the best disruption card available in the Standard format, so you most likely will want to include at least a single copy into your decks to retrieve with VS Seeker to disrupt your opponent’s when you fall behind on prizes. 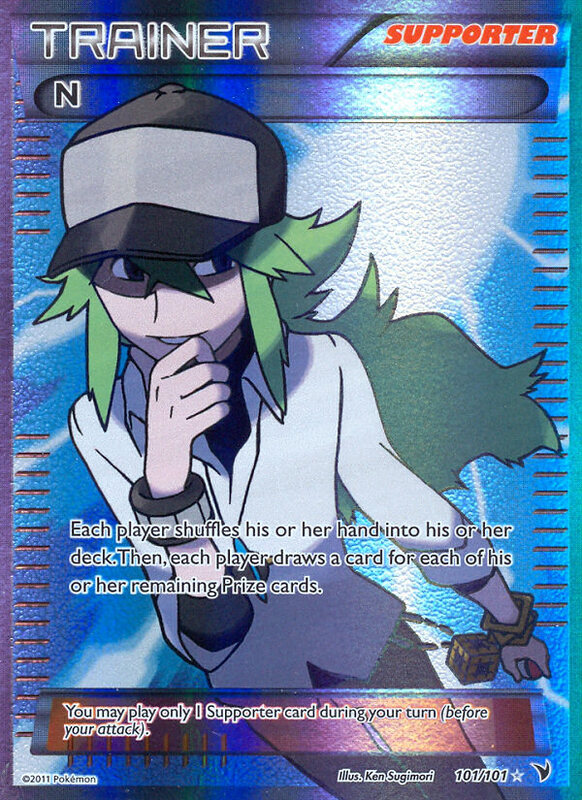 In Expanded, I would still look to play a single copy of Ace Trainer in addition to N. Playing Ace Trainer in earlier stages of the game when you’re behind on prizes will be more disruptive than N as it will put your opponent down to fewer cards than N.
I do think Ace Trainer has the potential to see higher counts of play, possibly 3 or 4 copies of the card in some of the slower decks in the format. In these types of decks, it can act as a powerful weapon that quicker decks cannot use effectively, similar to what Twins did when it was legal. With Vileplume back in the format, I expect some slower strategies to arise that will give up prizes early in favor of setting up a powerful late game. It’s in these types of decks where Ace Trainer can shine in higher counts. Until the end of your opponent’s next turn, each Pokemon in play, in each player’s hand, and in each player’s discard pile has no Abilities. It may be my love for goth girls creeping in, but I expect big things from Hex Maniac. 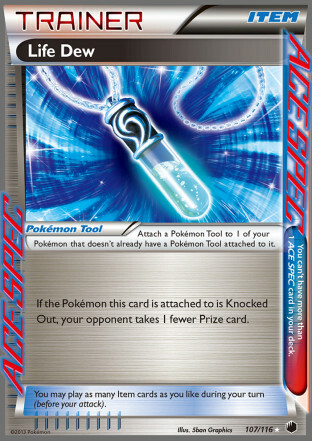 As can be seen from Garbodor DRX being included in the last two first place decks at the US National Championship, Ability lock is a very strong effect in the Pokemon TCG. I really like the direction Pokemon has taken with Ability lock in the XY block compared to what they did in the Black and White block. In the BLW block, Pokemon printed one very strong Ability lock Pokemon in Garbodor DRX whose counters were removing its Tool or using Item lock to prevent it from getting a Tool in play. In the XY block, they released a series of weaker Ability lock cards that work in different ways. Wobbuffet PHF only shuts off Abilities when it’s in the Active position and it doesn’t shutoff Psychic Abilities. 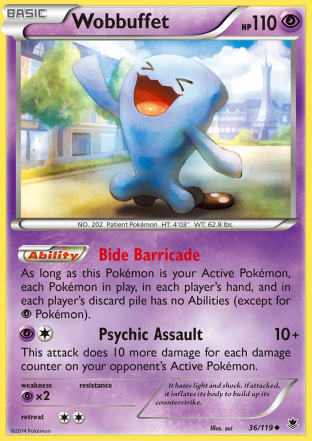 Silent Lab only shuts off Abilities on Basics, can shutoff Wobbuffet’s Bide Baricade to re-open up Ability use for evolved Pokemon, and can be removed from play by playing another Stadium Card. 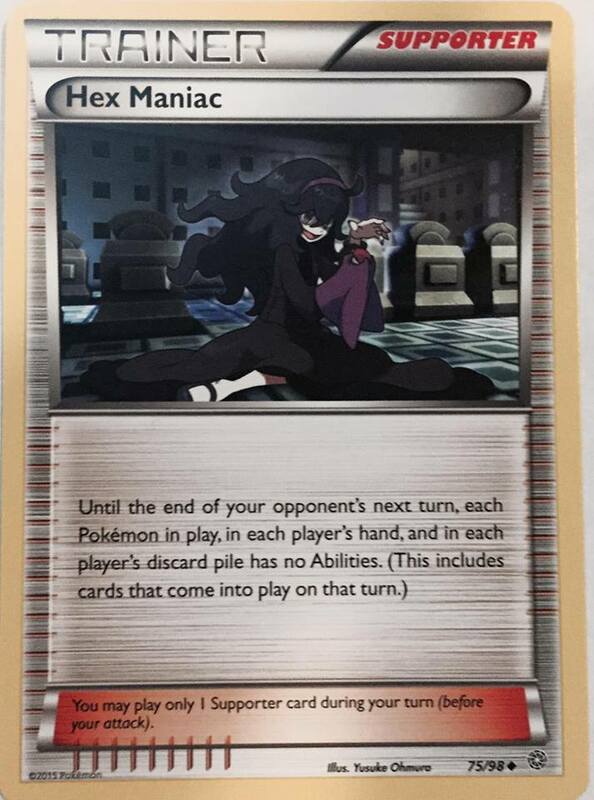 Now, we have Hex Maniac which can be used as your Supporter for the turn to shutoff all Abilities. Hex Maniac is multi-dimensional in that it could be used both to disrupt your opponent’s Abilities, but also be used to shutoff some of your own Abilities which are currently limiting gameplay strategies. 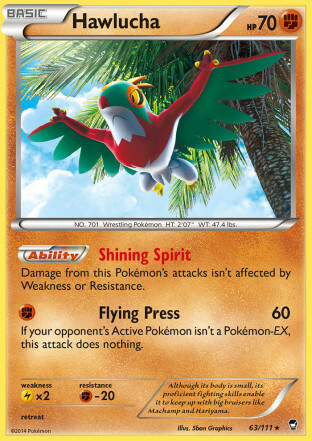 Some examples of using it to your own advantage is shutting off your own Vileplume so that you can play Items during your turn or to shutoff Hawlucha FFI’s Shining Spirit Ability (which makes its attack damage be unaffected by Weakness or Resistance) so you can OHKO a Manectric EX by hitting it for weakness. Of course it can be used to your own advantage as well by shutting down your opponent’s Abilities. If your opponent is playing an Energy Acceleration deck, such as Bronzong PHF or Blastoise BCR, you can play Hex Maniac so they are unable to accelerate Energy during their next turn, possibly preventing them a turn of attacking. Similarly, you could play it against an Aromatisse deck trapping their Energy on the Pokemon they are currently on for a turn. Of course it can also be used to prevent your opponent from playing Pokemon like Shaymin EX or Hoopa EX to further their setup. There are tons of situations that will arise where shutting off your opponent’s Abilities for a turn can have a profound impact on the game. 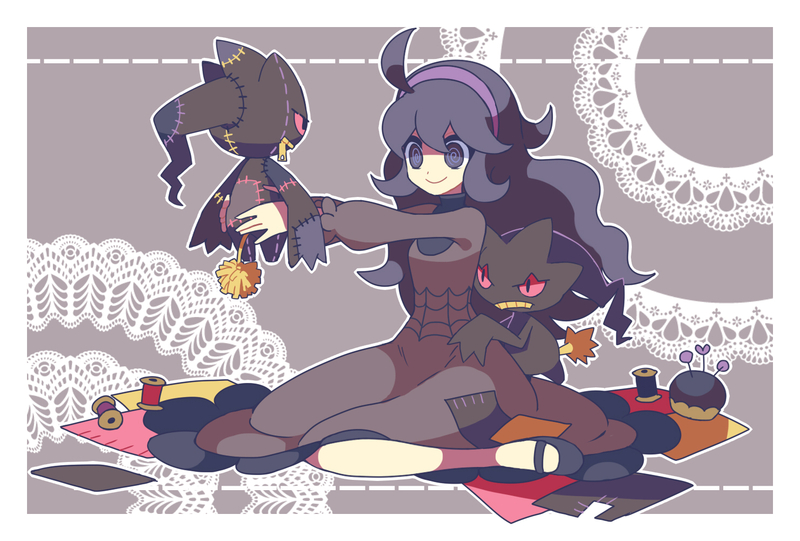 Hex Maniac is the curse to Safeguard effects that those Pokemon would wish to never meet. Now Pokemon such as Suicune PLB, Sigilyph DRX, Pyroar FLF, and Aegislash EX are a VS Seeker for Hex Maniac away from being knocked out by a Pokemon that would usually be unable to knock them out. For example, things could get awkward for a M Rayquaza EX deck trying to deal with Aegislash EX or Suicune PLB, but now the M Rayquaza player can use a Hex Maniac to shutoff the Safeguard effect and knock those Pokemon out irregardless of its EX status or if it has a Special Energy attached. While it does shutoff your own Abilities, if played intelligently it will have little interference on your own Ability use. If you play it after casting all the Abilities you intend to use in a turn, you will have lost no Ability use by playing Hex Maniac during that turn. I’m really excited for the prospects of Hex Maniac. I think it’s a card that will take a lot of skill in figuring out when are the best times to play it versus another Supporter as well as how to work around it when your opponent does use it. I will probably include at least a single copy of Hex Maniac in most of my decks next season and probably even more in select decks. There are four new Item cards in the Ancient Origins expansion. There is one search, two recovery, and one disruption card printed in this set. 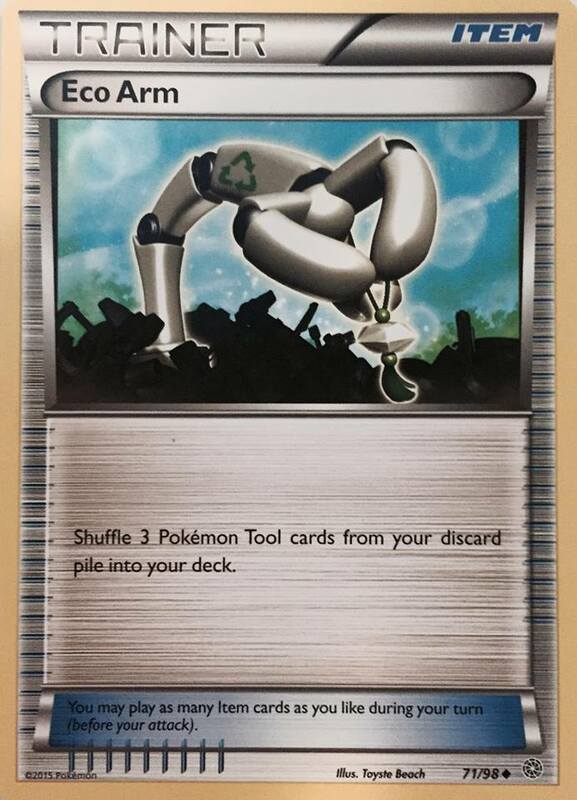 Shuffle 3 Pokemon Tools from your discard pile into your deck. This card seems a bit underwhelming on first review, and it will be in a general sense. Typically players play their Pokemon Tools in counts high enough that they will generally have enough of them to serve their purpose for the entirety of the game. However, this card will definitely see some good play in combination with specific Tool cards to create new strategies. In the Standard format, the premier combo for the card will undoubtedly be with Focus Sash. 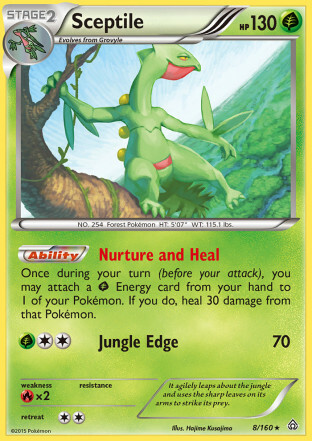 With Eco Arm, a Fighting deck could theoretically play 16 Focus Sash in a single game greatly slowing down a game and forcing an opponent to rely on 2HKO’s, removing the Tool, using Poison or Burn damage, or using an Ability to place damage on the opponent’s Pokemon pre-emptively to take a knockout. One such strategy that can now become a thing with the aide of Eco Arm is a Diggersby PRC mill deck. 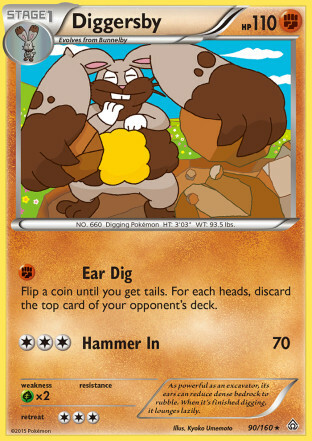 Diggersby has an attack, Ear Dig, which costs [F] and says to flip a coin until you get tails. For each heads, discard the top card of your opponent’s deck. With Focus Sash saving Diggersby from being knocked out if it doesn’t have damage on it, Diggersby could potentially stay alive long enough to mill your opponent’s entire deck. I think Eco Arm could get a more normalized use in a M Tyranitar EX deck, which will generally want to use more Tool cards in a game than most other decks as M Tyranitar EX can have two Pokemon Tool cards attached at a single time. In Expanded, Eco Arm can be used to put powerful Ace Spec cards back into your deck, such as G-Booster, Life Dew, Rock Guard, and Crystal Wall. Prize denial through recycling Life Dew is in particular a powerful strategy. In the BCR-ROS we’ve seen Bunnelby lock decks that could retrieve Life Dew with Bunnelby’s Rototiller attack. In the short lived format before Lysandre’s Trump Card was banned we also saw an Empoleon DEX deck which aimed to play Lysandre’s Trump Card nearly every turn to put Life Dew back in the deck and then retrieve it quickly with Diving Draw or Skyla (the deck also played Magnezone PLS to allow it to play two Supporter cards in a turn). With Eco Arm you have the potential for 5 Life Dew in a game. Denying prizes is very powerful, so I expect combos using this strategy to be developed in the Expanded format. Lastly, the card will of course be of great benefit to Tool Drop. Eco Arm will let players put up to 12 Pokemon Tool cards back into their deck (240 damage total back into the deck) and could be used with the aforementioned Life Dew strategy. Once upon a time we had a great card named Super Rod which shuffled back a combination of 3 Pokemon and Basic Energy cards back into your deck from your discard pile. A full year after Super Rod rotated out of Standard, we will now have the cards to allow us to shuffle both Pokemon and Basic Energy back into our deck. Super Rod has in a way split off into two separate cards, Sacred Ash and Energy Recycler, which can only target one of the two, but instead of being able to put three cards back into your deck you now put five of the given type of card back into your deck. This type of card was long overdo. There were Energy recovery cards in the format (Energy Retrieval and Superior Energy Retrieval), but they both put Energy directly into your hand. 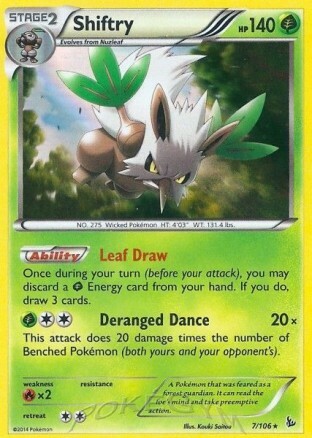 While some decks can play well off those cards, many other decks which were limited to just their single Energy attachment for turn had no need for the extra Energy cards and would generally waste them if they wanted to play a Professor Juniper as their Supporter for turn. Now, with Energy Recycler, players can put those Energy back into their deck and not waste them by default if they want to play a discard and draw Supporter. The card also gets back more Energy, which will allow you to last further out into a game with Energy Recycler than you could with the Energy Retrieval cards. I think the card will be great with Primal Kyogre EX, a deck that would often run tight on Energy late in the game. I think it will work very well with Shiftry FLF’s Leaf Draw Ability as it will allow Shiftry to draw through the deck very quickly while not running out of Energy as easily. I think it also has the potential to make Togekiss ROS playable. In the current format, Togekiss has issues with having a high enough probability of hitting Energy with Serene Grace to justify the costs of playing it, but with Energy Recycler, the probaiblity of hitting Energy can be raised to great numbers in the later stages of a game. 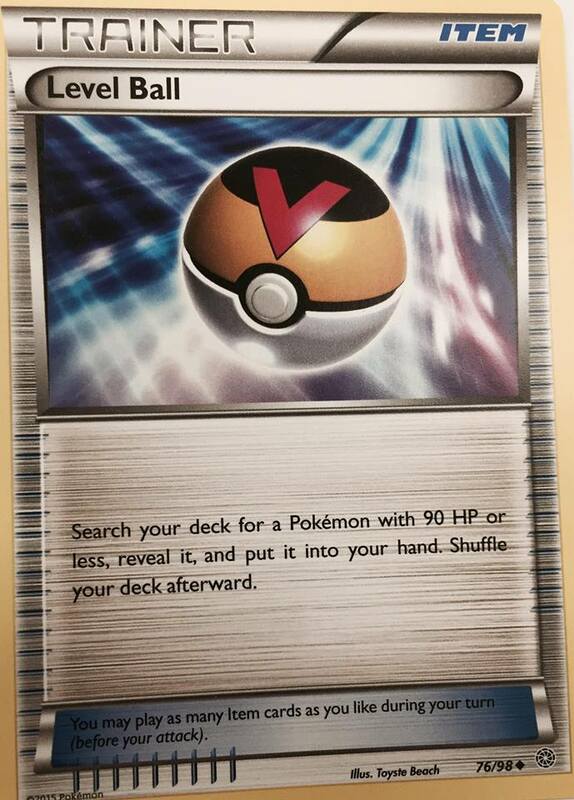 Search your deck for a Pokemon with 90 HP or less, reveal it, and put it into your hand. Shuffle your deck afterwards. Level Ball is actually already legal in the Expanded format, Pokemon has just decided to re-introduce it into the Standard card pool. Anyone who has played in the past few years should know that Level Ball is one of the best cards for evolution decks to search out their Pokemon, generally being able to search out the Basic Pokemon in the evolution line as well as lower HP Stage 1 Pokemon such as Bronzong PHF or Raichu XY. It’s important to point out that Level Ball is slightly less useful in Standard format as of now than it was last time it was legal in format as Jirachi EX has rotated out of Standard. 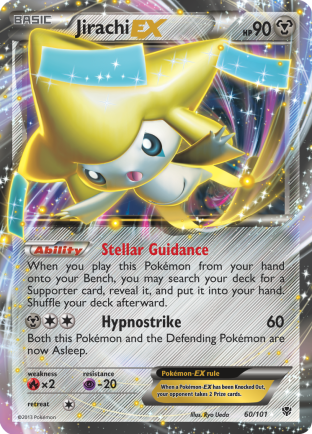 In the past, players had great justification for including Level Ball in their evolution decks as it could also search out the consistency Pokemon of the format, Jirachi EX. In Standard, the primary consistency Pokemon, Shaymin EX, has 110 HP, so Level Ball will be unable to act as a consistency out in the current format. It can search out Unown AOR, but drawing one card with Unown’s Last Will Ability pales into comparison the type of consistency Shaymin EX and Jirachi EX can provide. While it is slightly less powerful in Standard than it was last time it was legal, it’s still a terrific card for evolution decks so newer players should definitely pick up a play set of this as they will likely use it in many evolution decks in the near future. Discard any Stadium card in play. Then draw a card. Stadium cards have become increasingly important over the course of the past season. 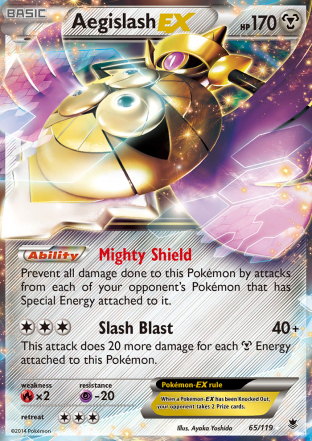 Pokemon has really put a strong emphasis the last few sets of printing a lot of strong Stadium cards, so we have begun to see more and more Stadium cards see play, with seemingly every deck playing a Stadium card of some kind. As a Stadium war sorts itself out, players will naturally progress to playing cards that help them establish dominance in the Stadium war. 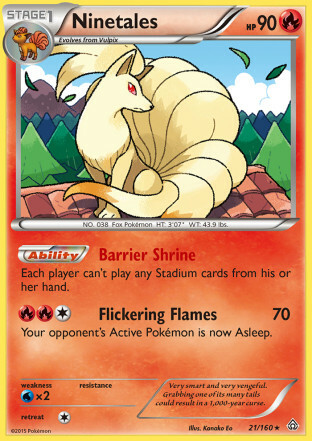 The primary card to do this is Ninetales ROS, which prevents players from playing a Stadium card from their hand, which can essentially lock a Stadium card into place. While there are some ways to work around this (Wobbuffet PHF, Gothitelle FFI, Garbodor DRX), none of them are very easy to use or naturally fit into every deck. 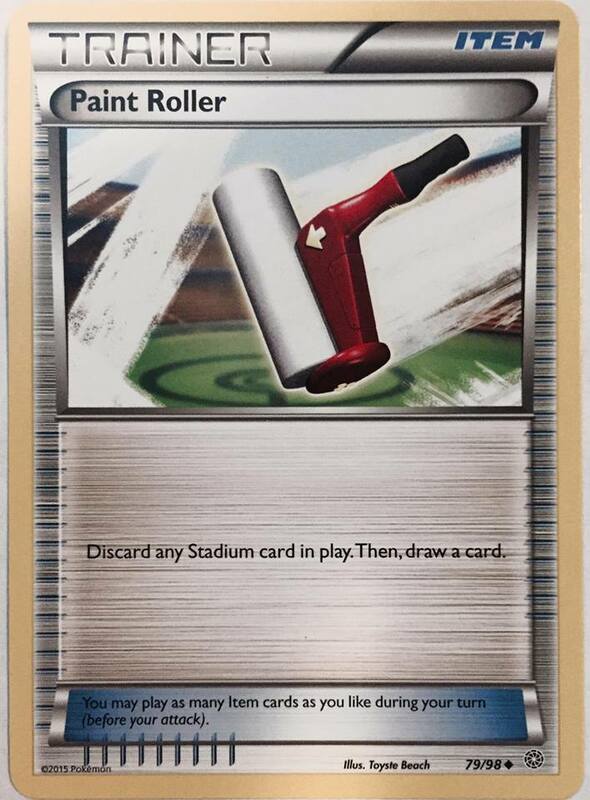 Pokemon has decided that there should be a card that can fit in any deck to work around this, so they have given us Paint Roller, and tacked on the benefit of getting to draw a card as well. I think most decks will opt out of playing this card as simply playing down another Stadium will bounce the active Stadium in most game states. The only time players would likely find room for Paint Roller in their decks is when a prevalent deck is using Ninetales to lock a Stadium in place and that disrupts you to the point where it’s near impossible to win the game. For example, a M Manectric EX deck might have difficulty beating a M Rayquaza EX deck with Altaria ROS if it locks in Sky Field with Ninetales. Paint Roller could be used to remove the Sky Field from play, thus preventing the M Rayquaza EX player from being able to OHKO a M Manectric EX. Whenever the Pokemon this card is attached to is your Active Pokemon and is damaged by an opponent’s attack (even if that Pokemon is Knocked Out), draw 2 cards. Lucky Helmet is a very neat card and I think it will find a place in many decks during its lifespan. Card advantage is very important in the Pokemon TCG, so any cards that can be used to create a card advantage will be very strong. It creates a negative effect on your opponent for attacking you, and since not everything OHKO’s, it could potentailly be drawing you +4 or +6 cards, which is a very strong net gain. You just have to be careful to not get careless with it, because if a game goes down to the wire, your opponent could use it to your detriment by decking you out with the cards drawn from it. With Head Ringer having a presence in the format, most EX decks want to play some type of Tool to get around Head Ringer. 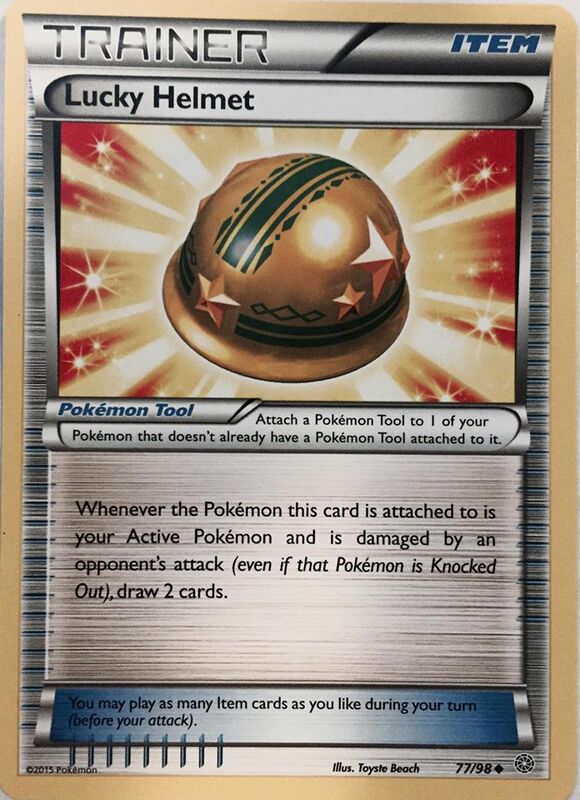 Lucky Helmet could act as the default Pokemon Tool card for such decks where there isn’t a Tool that acts as a better fit. While it’s probably a little weak compared to other Tools available in BLW-on and XY-on formats, as of now it is the one of the best Tool cards available in PRC-on, which is very likely to be the Standard rotation next year, so it could provide extra valuable in next season’s Standard format, even if it doesn’t catch on much this season. There are two Stadium cards in the set, one being a hate card against a specific group of Pokemon and the other being a support group for Grass type Pokemon. At any time between turns place 2 damage counters on each Mega Evolution Pokemon. These type of cards generally see play at some point in their life span as anything that can put damgae on your opponent’s field without using an attack is a very strong effect. Unfortunately, only hitting Mega Evolution Pokemon is probably too narrow of a class of Pokemon for it to see wide spread play. With seemingly every deck playing high Stadium counts, it would be difficult to keep it in play for more than a turn in most cases, and it will be a dead card in any matchup against something not playing Mega Evolutions. This cards playability comes down to whether or not Mega Evolution Pokemon make up a large enough portion of the meta game to justify putting this into your deck. One nice thing going for it is that even if your opponent can bounce it immediately after you play it, you will still get 20 damage on your opponent’s Mega Pokemon during the first in between turns period. The primary spot I could see this getting play is in a deck that already plays Ninetales. It could play Faded Town as a 1-of and attempt to evolve into Ninetales immediately after playing down Faded Town in matches against Mega Evolution decks. Each players Grass Pokemon can evolve during his or her first turn or the turn he or she plays those Pokemon. An important distinction to make in regards to this card is that it lets you evolve your Grass Pokemon immediately, not evolve into a Grass Pokemon immediately. This means that you can evolve Pokemon like Nuzleaf FLF (Grass type) into Shiftry NXD (Dark), but you wouldn’t be able to evolve from Nuzleaf NXD (Dark) into Shiftry FLF (Grass) immediately. This card is amazing and will make Grass Pokemon one of the most playable types in the game. The card is essentially the very powerful Broken Time Space card limited to just Grass type Pokemon, creating a Broken Vine Space. (I bet Pokemon wishes they could go back and re-name the card this). Being able to instantaneously evolve will help remove the entry barrier for evolution Grass Pokemon that has prevented them from seeing play. It will let decks get out powerful attackers, such as M Sceptile EX, Shiftry FLF, and Vespiqueen AOR. It will also allow for many useful Abilities, such as Sceptile PRC’s Nurture and Heal and Ludicolo PRC’s Captivating Rhythm. These cards were previously too difficult to get into play, but now with the support of Forest of Giant Plants I think these types of cards will be able to get into play and effectively be used as part of a strategy. 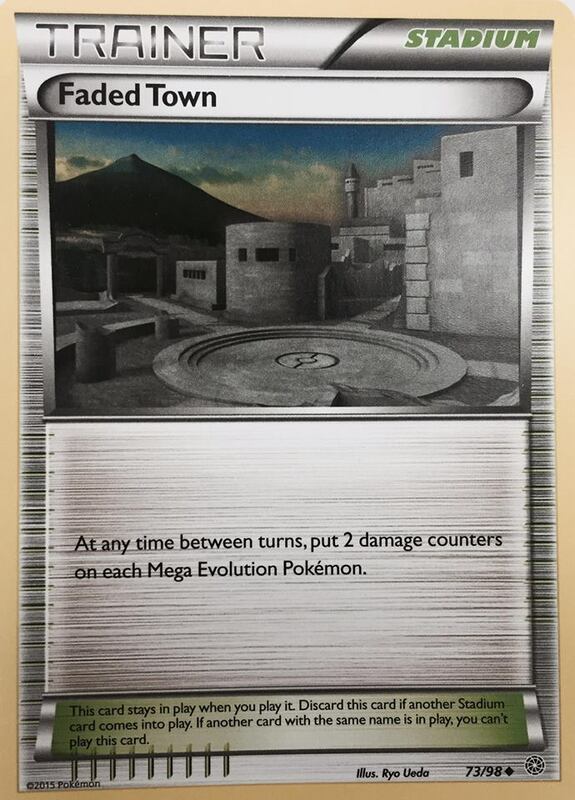 Ancient Origins itself isn’t short of Pokemon that will be able to make use of the Stadium card to great effect. M Sceptile EX and Vespiqueen as attackers and Ariados and Vileplume for strong Abilities. These cards will be covered more in part 2 of the review. The dark side of Forest of Giant Plants is that will create some unhealthy combos in the Expanded format. As I pointed out in Expanded Explorations #2: The Shiftry Experiment, I think the Shiftry deck that will be possible with Forest of Giant Plants is unhealthy for the game. 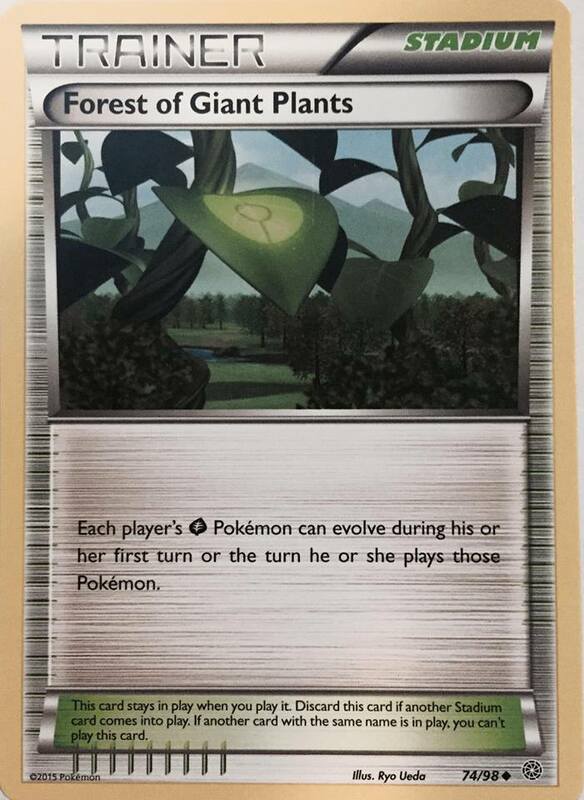 When Pokemon presumably chooses to take action to eliminate these unhealthy combos, I think they probably will ban the individual Pokemon cards that are problematic and not Forest of Giant Plants itself. 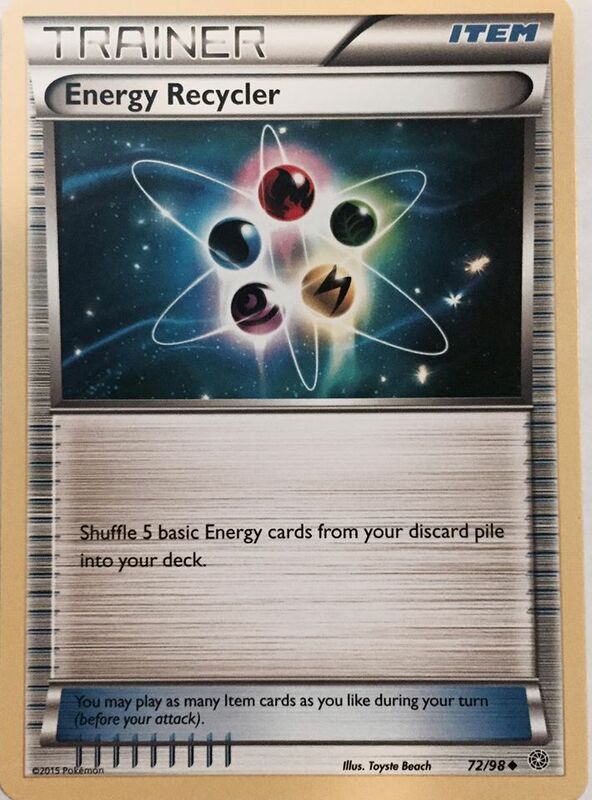 In the most recent XY Expansions, specific Pokemon types have received Special Energy cards. Similar to the previously printed ones, these cards can only be attached to the Pokemon type that they are designed for. 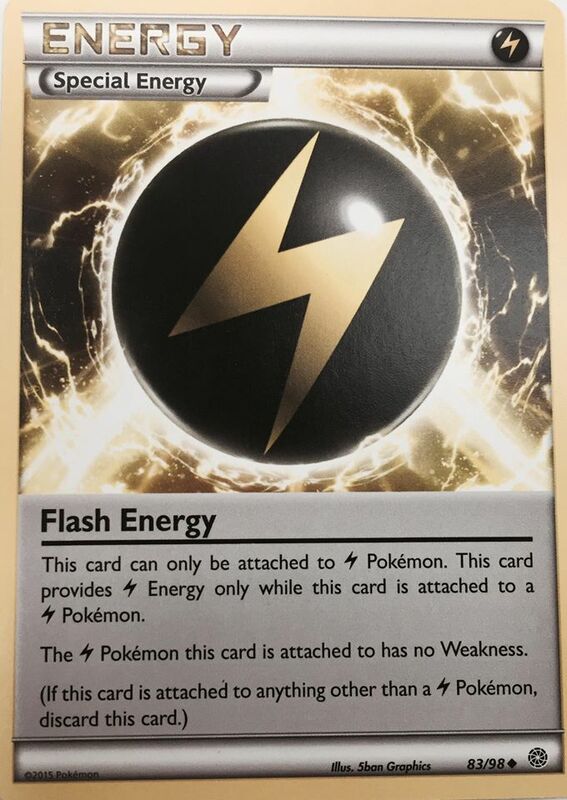 Ancient Origins gives us two more of these Special Energy cards, one for Darkness Pokemon and the other for Lightning Pokemon. 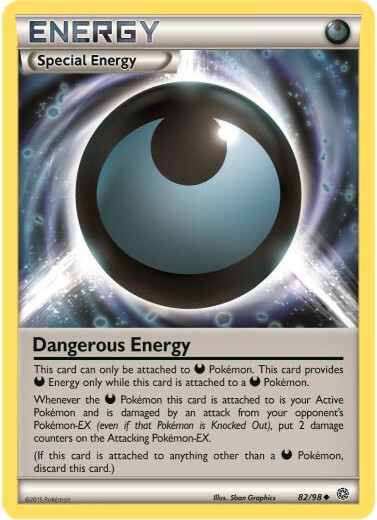 Whenever the Dark Pokemon this card is attached to is your Active Pokemon and is damaged by an attack from your opponent’s Pokemon EX (even if that Pokemon is knocked out), put 2 damage counters on the attacking Pokemon EX. These types of effects have rarely seen that much play, although Rock Guard has been seeing more play recently with Seismitoad EX and Manectric EX, so there is still some potential with these reactive damage effects. The primary issue I see with Dangerous Energy is that it doesn’t mesh well with Yveltal XY’s Oblivion Wing, which has proved to be the best Energy acceleration for Dark decks. Not being able to be attached with Oblivion Wing and being able to be removed with Enhanced Hammer should keep this card to low counts in most Dark decks, but I think it would be worth playing around with the card in lower counts. The other issue is that the card might be too limiting. It only triggers its effect against EX Pokemon, and while those are a large portion of the meta game, it’s doing nothing to help you against non-EX decks. This might not even matter though, as the primary Dark Pokemon right now are strong enough to OHKO most non-EX’s, but it could make a difference as more Dark Pokemon are printed. I think this card was designed with a narrow focus on M Tyranitar EX in mind. When a Pokemon EX attacks Mega Tyranitar EX with Dangerous Energy attached that will place the damage counters on that Pokemon to allow M Tyranitar EX to OHKO it. 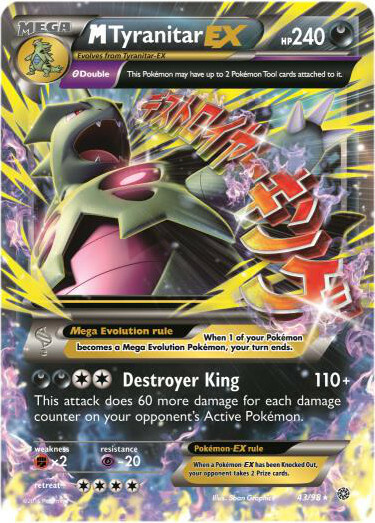 I think Dangerous Energy will be played in most M Tyranitar decks and it should be especially useful in Expanded where M Tyranitar can use both Dark Patch and Mega Turbo, lessening the need to make a Double Colorless attachment for your Energy attachment for your turn. There really isn’t much to say about this card. Removing weakness is obviously a strong effect, so this card will be played in Lightning decks to remove weakness in meta games where Fighting has a significant presence. Once again Pokemon has delivered us with another set full of strong Trainers, Stadiums, and Special Energy cards. You can pick up all these cards at pre-releases in the next couple of weeks as well as when Ancient Origins releases on August 12. The companion article, ranking the Top 20 Pokemon of Ancient Origins will be released in the coming weeks prior to the set’s release. Featured image credits to Amaterasu on Zero Chan. Expanded Explorations #2: The Shiftry Experiment – How Broken is Broken Vine Space?